With PC manufacturers exhausting their "almost as good as a MacBook Pro" ultrabook marketing sometime around the summer, this holiday season was rife with commercials touting convertibles, hybrids, and 2-in-1 laptops from all the big names. 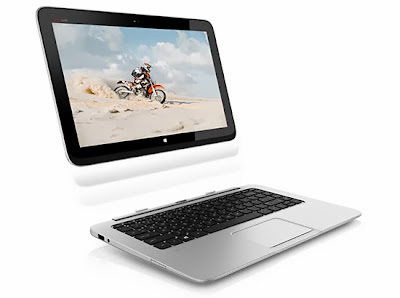 Regardless of the name used, this laptop-that-turn-into-tablet body design is clearly intended to be the next big thing in the laptop market, and if the commercials from Microsoft are any indication, they intend for businesses to begin adopting them in large capacities. So let's look at a few fuzzy areas with these new laptops and see if we can't clarify some things. 1. There are two general types of these devices. There are two classes of hybrid devices being produced today, and the easiest way to distinguish them is tablet-class and laptop-class. Tablet-class devices are going to have specs similar to smartphones and, if you're used to PC terminology, the language will sound slightly exotic. Processors will be ARM and sport names like Nvidia Tegra, RAM won't exceed 2GB, and on-board storage likely won't exceed 32GB. These are tablets first, laptops second, and the majority don't include more than a single USB port as a peripheral connection. The tablet-class devices are lighter, feature nothing larger than a 10.1" screen, and treat the keyboard as an accessory, allowing for it to easily mount and dismount without an issue. They're hobbled by software limitations, though, due to their reliance on Windows RT or Android. Laptop-class devices, on the other hand, are laptops first, tablets second. These carry standard processors with much more robust RAM and storage options, and have the input/output ports of modern laptops. The laptop-class devices are larger, with 13.3" to 15" screens, and run Windows 8, which makes them more suitable for office work. However, these devices treat the keyboard as a dock rather than a peripheral, requiring a mind-numbingly tedious disconnect procedure before you can use the screen as just a tablet. 2. There are two types of Windows. Every tech magazine and blog has beaten this fact to death since the debut of the Microsoft Surface, but just to reiterate: there are two versions of Windows. Windows RT comes pre-installed on tablet-class devices, and includes Office. It also has an App Store/Google Play-like storefront for Windows RT applications and developer criteria that ensures a consistent user experience, but is low in total applications. It does not have any of the policy or networking tools that allow it to be secured and controlled in a business environment. Windows 8, on the other hand, comes pre-installed on laptop-class devices but can be installed on other suitable machines as well. This is what you think of when you think "standard" Windows. It doesn't come pre-installed with Office, but it can run anything you have. There are no limitations from a developer standpoint, so there is no guaranteed consistent user experience. Big caveat: both of these versions rely on the Metro UI (big colorful blocks) that Microsoft debuted with Windows Phone, and has now pushed across its product line. It is drastically different - like, heavy learning curve even for experienced users - than any previous Windows version in recent history. The design change is as drastic as the change from Windows 3.1 to Windows 95, only the learning curve is steeper. To be blunt, both types of these devices are plagued with quirks that are better described as stupid decisions. For tablet-class devices, the keyboards are, to the last one, terrible. The Surface has two, a "touch" and a "type", the former relying on immobile "touch" keys while the latter is more traditional. They both have the responsiveness of a pizza box. Other keyboards in this class are akin to typing on gummy-backed Chiclets. Then there's the lack of software, which limits their functionality. Browsers other than Internet Explorer are crippled, and outside of Office, there's not much business software built to run on ARM-backed devices. For the laptop-class devices, the limitations are all from dumb decisions. Disconnecting the keyboard to use the screen as a tablet? Better find the "Safely Remove Hardware and Eject Media" icon and disconnect it properly, or you get a multitude of warnings. Want the on-screen keyboard to automatically pop-up when you hit a text box - y'know, like it does on every other tablet or mobile device OS on the planet? Unless you're using one of the included Metro-styled programs, it's not happening. In conclusion, neither set of devices are ready for the business world yet. There's even a third category relying on Intel Atom processors that put Windows 8 in a compact platform -- it's actually the worst of both worlds, and isn't even ready for the consumer market. Some of these issues are hardware-based and some are Windows-based. If your office is planning to implement these, definitely hardware test and vet for these issues, and double your support team for the first six months. Expect a lot of calls for "Why can't it do...?" The ASUS Transformer Book (T100 & Trio) are not "tablet class" devices as you define them. You are correct. They're actually in that third class mentioned at the end, tablet-class size, laptop-class software, inadequate Intel Atom guts. Edited.